At first, we read the program for the trip to England to be held at the end of June, with a visit of Windsor Castle. Then we spoke about our last VO films, « Week-end royal », which was very disapppointing, and « Alceste à bicyclette », which was great. At the end of the hour, we spoke about a film which Aline and Nicole enjoyed watching, last week-end. There were lots of people because of the heavy rain outside. Having reached the summit of his career as an actor, Serge Tanneur makes up his mind to give it all up. He has had enough of the endless disputes and backbiting and decides to live as a recluse in a rundown house on the island of Ré. Three years later, Gauthier Valence, a publicity-seeking celebrity actor arrives on the island. His mission : to coerce Serge into playing the lead role Alceste in a production of Molière’s Le Misanthrope. It is a role that should suit Serge perfectly, as he is the living embodiment of this character. At first, Serge is insistent that his acting days are over, but gradually he has a change of heart. We had a superb gift from our Oman’s specialist who brought two picture-books of her own she had prepared for her family and for us during the past holidays. Thanks a lot, it was a gorgious discovery. Goats in the north, camels in the south. 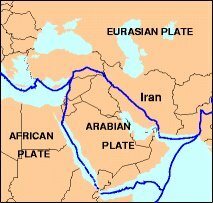 Oman is a very interesting country for geologists because two tectonic plates are meeting there : one is subsiding under the other so that layers can be seen, as well as mountains of magma and faults. It is a rich country but there are lots of Pakistanese men working hard, without their families, like slaves.